It's not a big name in the U.S., but one of the world's largest Android handset makers just announced its latest flagship phone. 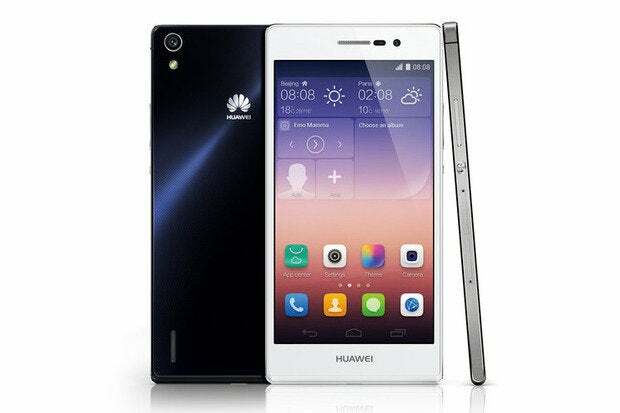 On Wednesday, China-based Huawei took the wraps off the Ascend P7, an LTE-capable Android (KitKat) smartphone with a very slim profile. The new handset features a 5-inch 1080p display with 445 pixels-per-inch and measures around 0.26-of-an-inch thick, which is a hair thinner than the iPhone 5S's 0.30-inch frame. For connectivity there's 802.11b/g/n Wi-Fi, Bluetooth 4.0, USB 2.0, and NFC. The P7 comes with the latest version of KitKat (Android 4.4.2) and a 2500 mAH battery. But Huawei has also added some nice extras alongside those somewhat standard specs. 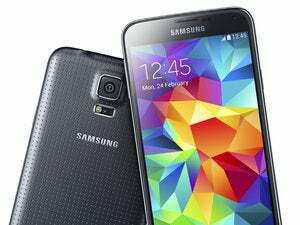 The phone features an 8-megapixel front-facing camera that comes equipped with a panoramic mode for (what else?) a group selfie or "groufie" as Huawei appallingly calls it. On the back of the phone, the Ascend P7 features a 13MP sensor with a non-spherical lens. Beyond the high megapixel count, Huawei claims the camera's one-tap wake from the lock screen can you have you shooting pictures in just 1.2 seconds. Perhaps the most interesting claim about the P7 is a built-in feature designed to extend the life of the device's battery. Dubbed "super power-saving" mode, the P7 will shut down all but the most essential features on the phone when the battery hits 10 percent. Huawei claims that this power-saving mode can extend a 10 percent battery life to 24 hours on standby. The Samsung Galaxy S5 and HTC One M8 sport similar power-saving modes. Now for the bad news: U.S. customers will likely be waiting a long time to see the Ascend P7. Huawei is releasing its latest device across Europe, the Middle East, and Asia in May with an asking price around $625 unsubsidized, but a U.S. release date has yet to be announced. Part of the reason for the lack of a U.S. release date could be Huawei's problems with Congress. In 2012, the House Intelligence Committee called Huawei, along with fellow Chinese technology company ZTE, a threat to national security and advised U.S. telecoms to steer clear of the company's products. Despite governmental scrutiny, however, Huawei has seen some success on second and third tier carriers in the U.S. such as MetroPCS and Straight Talk—so there's still hope that the Ascend P7 could land Stateside in the future.